and make it look much more impressive if used correctly. and alter its frame or aspect ratio according to your needs. Media Files’ button or dragging and dropping the video file into the ‘Timeline’ area. 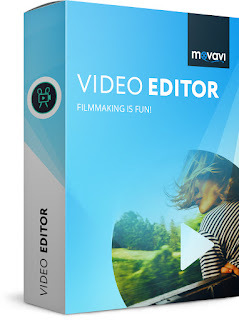 Movavi Video Editor’s ‘Crop and Rotate’ tool. out anything outside of the frame. could try positioning important elements along the gridlines or at their intersection points. Editor save your video using the parameters that were specified. enhance the video quality, apply special effects and filters, add captions, and more. Welcome to trickolla.com. I am Bharat Sharma founder of this blog. I am a full-time blogger from new Delhi. I started blogging when I was 20 years old just for fun but now I enjoy this profession. I often write on this and few other blogs about technology, Tutorial on Mobile, Computer, the Internet, and Make money online. You can read more about me on about page. Keep in touch with me on. Get all the Latest updates in your inbox for FREE. Always stay updated with the latest information,tricks and deals about Computer, Mobile, internet, blogger and WordPress.